age and offer a wide range of ready-to-wear items, beach accessories and of course men’s, women’s and children’s swimwear. With brands such as Captiva, Christina, Body Glove, Quiksilver Waterman, quintsoul, Speedo et Tyr there will be something for everyone who loves the ‘playa’! Bicycle clothing and equipment that was previously found at the location of the new MaïO store in the Explore! boutique are now available at the Magasin de la Place located in the Place Saint-Bernard. 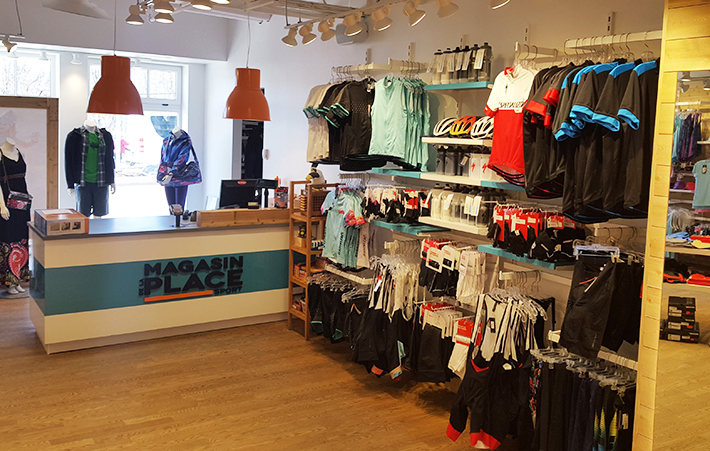 The Magasin de la Place has become with time, and with the popularity of the IRONMAN events in Tremblant, a real destination for clothing and equipment related to triathlon sports: running, cycling and swimming. 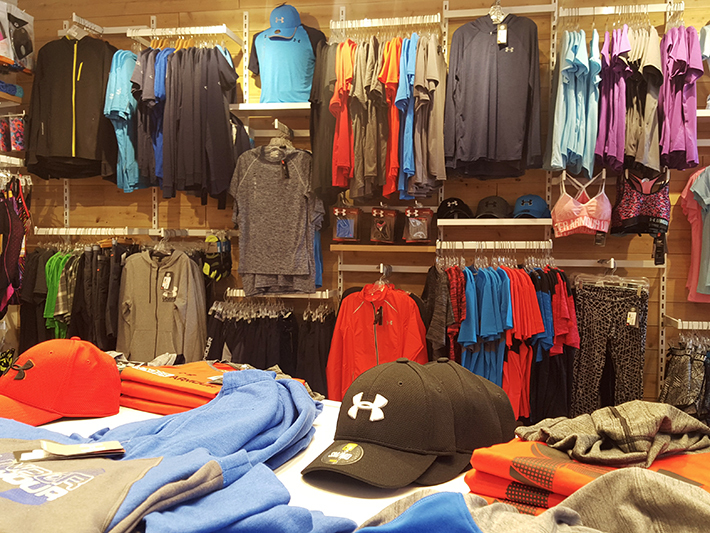 The shop in summer offers brands such as Zoot, Nike, Under Armour, Asics, New Balance, Saucony, 2XU, Aquasphere, Arena, Sugoi, Cep, EC3D, Desigual, Specialized, Giro, Smith, Nathan, Tyre, Puma, The North Face, Merrell, Mayola, Louis Garneau, Poc and Nalini.